Most truckers and owner operators have to get a lot of basic permits and authorities first before they can start hauling loads. 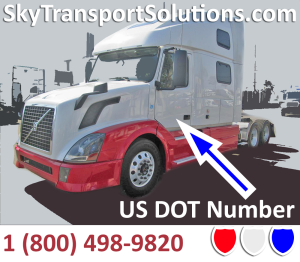 Getting a US DOT Number is one of the first steps required by law to operate a commercial truck. Did you know getting all the paperwork to start your trucking company is easy and you will learn a lot about trucking when you work with the knowledgeable staff at Sky Transport Solutions. Send us your Telephone Number and we will contact you and explain about US DOT Number processing and all our services. Important information on starting a trucking company. All Trucking Companies must be in compliance with all trucking-specific business licenses, permits, and forms. There are tow major levels of compliance that truckers have to be aware of, first its at a federal level and second its at a state level. Truckers should be aware that in addition to the general federal and state requirements, there are tax, license, and permit regulations that apply specifically to the trucking industry. These additional requirements are mandated by the Internal Revenue Services (IRS), State Equalization Boards and various city or municipal agencies. Permit regulations that pertain to heavy or oversized loads are mandated by the state’s department of transportation (DOT). Federal US DOT Number and Motor Carrier Authority Number. STS staff makes sure all your requirements met and then apply for these certifications via the Federal Motor Carrier Authority’s processing. Heavy Use Tax Form (2290), Every trucker must comply with tax regulations related to the heavy use of U.S roads with the IRS Form 2290.
International Registration Plan (IRP) Tag, Understand your requirements and obtain IRP tags by asking STS staff about your stat’s transportation and their IRP requirements. International Fuel Tax Agreement (IFTA) Decal. Understand your requirements and obtain IFTA decals from STS by working with your state’s transportation department. BOC-3 Filing – Use a processing agent and the BOC-3 filing to secure and maintain active operating status. In addition to these operational requirements, if you chose to employ private drivers, they’ll need to obtain special drivers permits or endorsements, such as a commercial driver’s license (CDL), to legally operate the commercial vehicles. 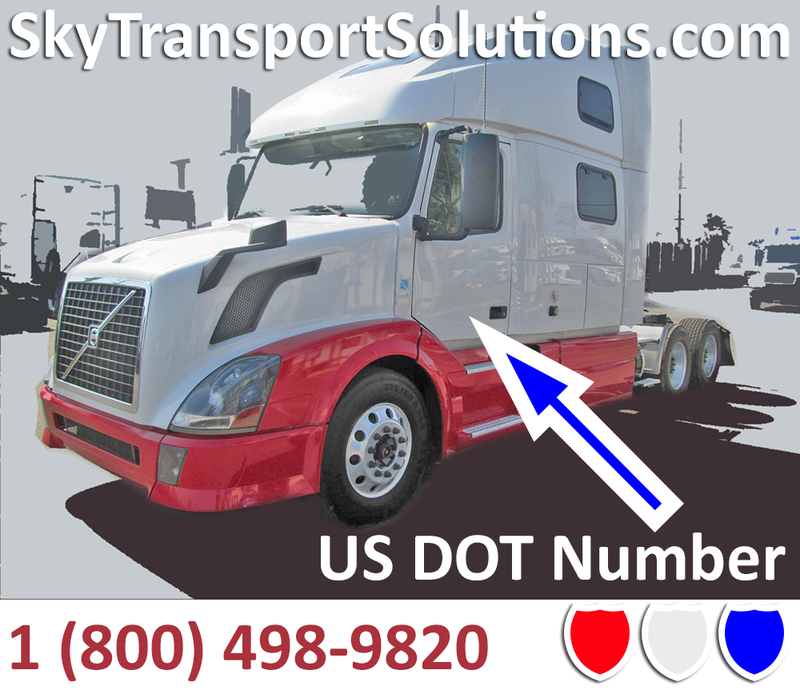 The US DOT Number is overseen by The US Department of Transportation. Did you know the DOT is responsible for buses and airplanes too. Almost all transportation related stuff is regulated by the DOT. Transportation is a very important part of our lives. Safety is on of the most important aspects of transportation. Keeping everyone safe on the road, in the air and on water is important. In order to get an US DOT Number just call us. Most beginner truckers don’t have time to get all the paperwork themselves. Don’t risk making mistakes when filling in paperwork. Did you know hundreds of truckers rely on Sky Transportation Services. We are always available for you. We provide quality reliable service at the best price possible.